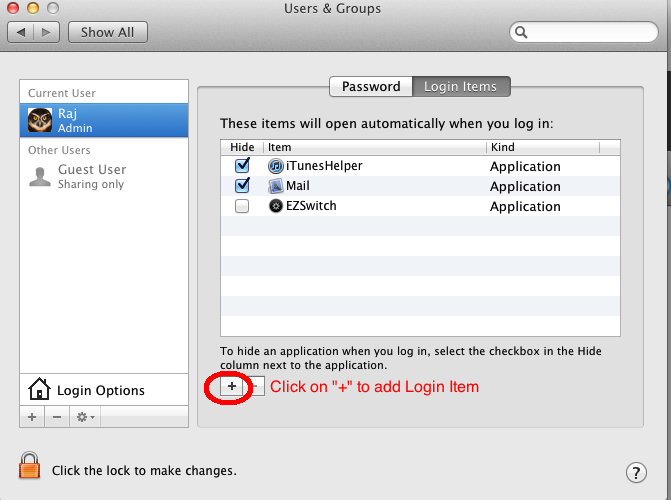 2) Click on "Users & Groups"
4) Click on the tab "Login Items"
5) Click on "+" to add your app as Login Item. 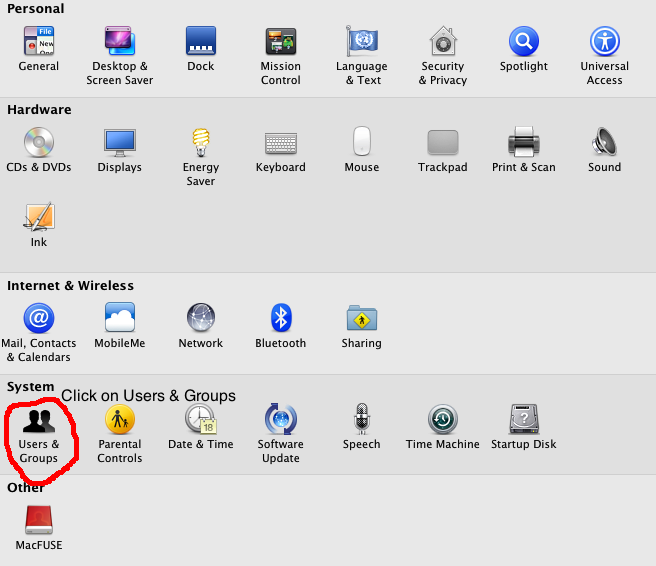 6) Click on "Applications" on the side bar to display your applications. 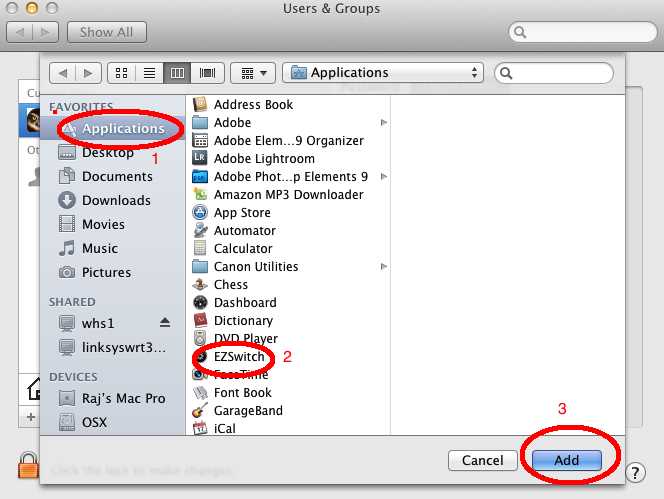 Then select "EZSwitch" by clicking on it and then click on the "Add" button. You may be prompted to enter your administrative password. 7) The checkbook near the your app in the "Login Items" screen has to be unchecked if you want to see the window of your app in the desktop immediately after logging in. If this box is checked, the main window of your app will be invisible. 8) You are done. 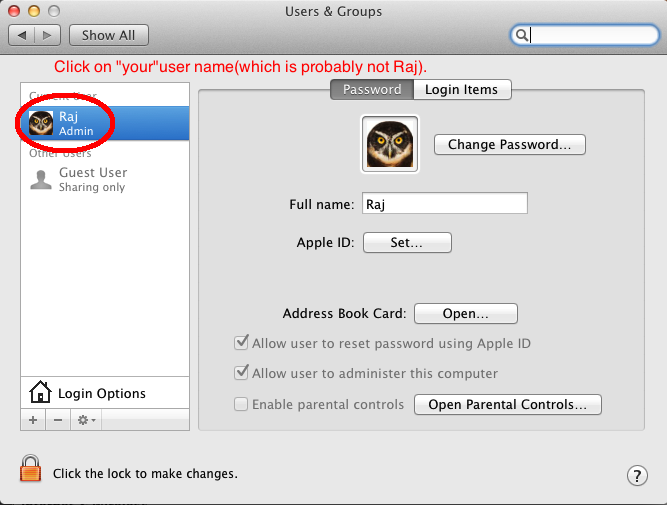 Now restart the mac or logout and then login to verify that your app has started.